Hello my friends! 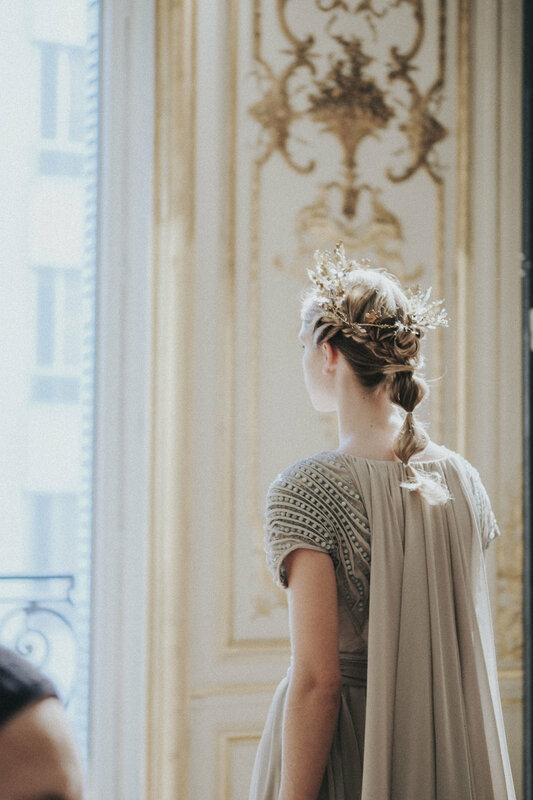 I went to Paris last week for the Haute Couture Spring - Summer 2018 Fashion Week and it was, as usual, a wonderful trip. I received some invitations the same day so I didn't know in advance which shows I would attend, surprise surprise! So, for me it started with Laskaris, photos below and ended with Ziad Nakad. In between I met a few friends and went to exhibitions. I let you discover my impressions of the shows! The collection was inspired by the Greek Mythology, beautiful pieces and models - one Goddess more beautiful than the other! The perfect match between power and luxury. The muse of the Laskaris House for Summer 2018 is Olympias, Princess of the Molossians of Epirus, mother of Alexander the Great. The legend says that Zeus came to Olympia in the form of a snake and left her pregnant with Alexander the Great. We saw beautifully decorated snakes on the gowns. The collection is also influenced by the columns of the Temple of Samothrace, the island where the designer Laskaris was born and where Olympias became a priestess of the Kavarion Mysteries. I absolutely loved the dresses, the headpieces and the soft colours of Laskaris' delicate work. Sensual and sensitive, the collection really pleased me. I loved the moody ambiance, green decoration and the dark fabric - lots of leather and velvet details. 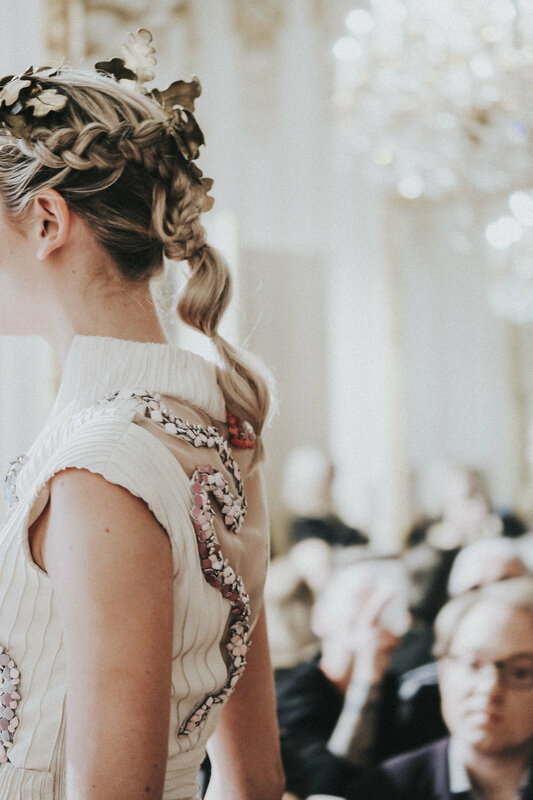 Hediprasetyo is known for his structured draperies and intricate embellishments, in addition to sophisticated workmanship. This season, the Mexican designer explored the four elements. You can literally feel the cracking of the earth on some dresses! The draped style was predominant in a beautiful turquoise, mustard yellow and earthy tone. The most beautiful and majestic show that I attended this week - I couldn't take my eyes of the models. A dream for each girl! The gowns, designed for major social events, transmit magic, poetry and immortal elegance. I loved the soft and pastel tones - pink powder, pale blue, silver, lillac. The highlight of my program!